Mailjet just launched their Collaboration Toolkit, a set of features that help teams work faster, together on email. Many companies working on email marketing suffer from inefficient collaboration that results in time lost from miscommunication, waiting for feedback and approvals, accidentally-sent emails, and more. 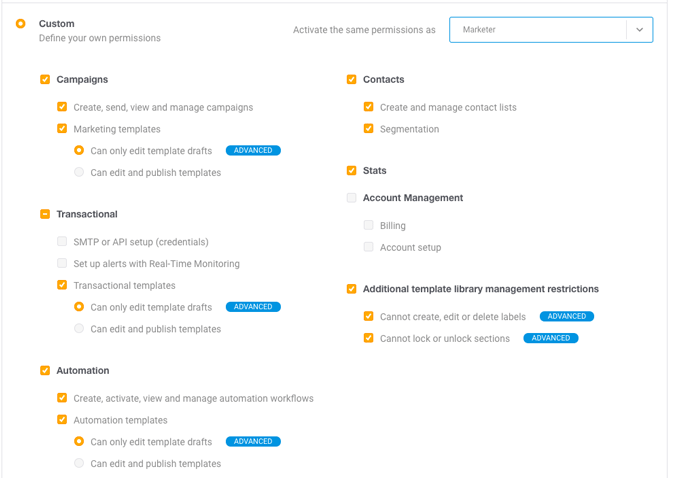 Addressing these issues, Mailjet’s Collaboration Toolkit makes multiple-user email creation, sending and management faster and easier. Real-time Collaboration allows users to work on the same template or campaign simultaneously (imagine Google Docs, for email). If a user is working on an email section, others won’t be able to edit that section, until that user is done. Users can add comments on specific sections and reply to others. They can also edit, delete, resolve, and reopen comments. The real-time email collaboration features render multiple-user email creation more seamless and less cluttered. All exchanges happen in one place; Mailjet’s drag-and-drop editor Passport. Lock the style and/or content of specific sections to make sure that other users don’t change them. 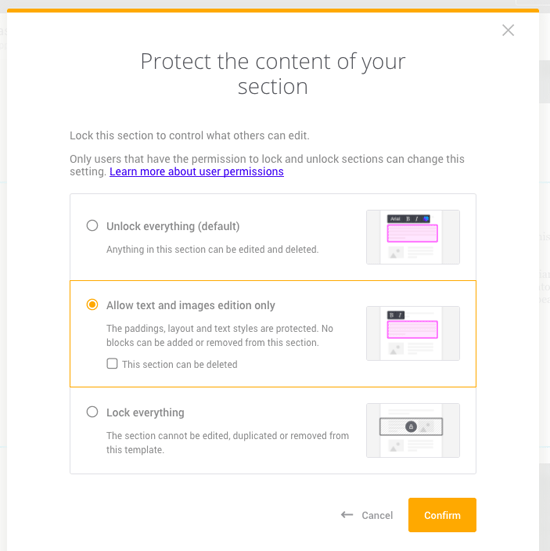 Locked sections cannot be modified or deleted by other users. This is especially important for companies who need tight control on their branding and messaging. Save sections to use them in other emails. Linking sections from different templates will propagate edits between linked sections. This type of batch update is useful to keep emails brand-aligned and saves time for companies who may have many templates that all need updating. For example, editing the company logo in a linked header will also change the logo in other linked templates. Finally, marketing departments work with many contributors (including outside agencies) on their emails. This makes the need for control very important. Through Mailjet’s extended role management system, companies can customize user roles or assign them predefined ones based on their specific tasks and responsibilities. Ensure all emails sent are approved by a manager by restricting users from publishing emails without permission. Who is Collaboration Toolkit for? The Collaboration Toolkit is especially interesting for certain companies and users. Marketing teams with multiple contributors working on emails together. Companies that require collaboration between marketing and developer teams. Companies who rely on both internal and external teams/agencies to conduct their emailing activities. 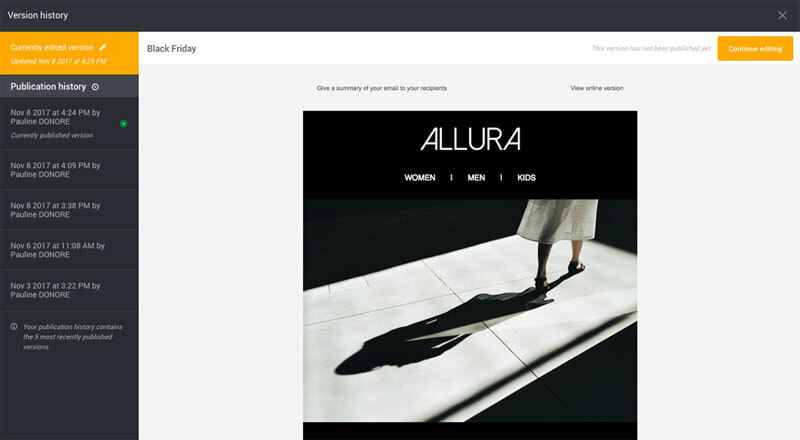 Companies with robust email strategies. Companies that have time-to-publish on email campaigns as a top priority. The Mailjet Collaboration Toolkit is available for all Premium users, except Publication Requests, which is only for Enterprise customers. Mailjet told us they are set to launch more features, to improve email collaboration including an action log.